​​When a computer fail it is always at the wrong time, and usually in the middle of a work day. Using a computer that is several years old is like playing musical chairs with your data. You will never know when the music will stop. Computer components will ALL fail at some point. It is just a matter of when they will fail. Transitioning to a New Computer – It is not as scary as it seems. A typical “off the shelf” computer system (Dell, HP, Lenovo etc) has a lifespan of only about 2-3 years. A higher quality computer will last much longer than that of course, but after about 3 years you want to start preparing. When desktop computer components begin to fail it may not be quite so obvious at first. It could be something as subtle as an overall sluggishness or your programs just don’t snap open like they used to. It could be something more obvious like system freezes, video problems, blue screen, error messages or a failure to boot. Either way, these are your warning signs telling you that a computer crash is looming. This would be the time to be proactive and do a computer upgrade before you lose your data. Here are a few good reasons to replace a machine BEFORE it fails, particularly if you use your computer for business. No down time. If you keep pushing that old machine it will die at some point. You will lose a lot of time and be out of commission until you replace that system. If you buy a new machine before the old one fails, you do not skip a beat. You can keep using the old machine until the new system arrives. Data loss potential. If your backups are not solid, and your system fails, your data may go down the drain with the system particularly with a hard drive failure. What to do with your old machine. If the old system is still working you can pass that down to a family member or friend for non-critical or personal use. It could last for a little while longer. Once you have all of you data backed up, you can wipe and reinstall a fresh copy of the operating system before handing it down. It will be a clean slate for the recipient. Using old components in a new machine. If you have a machine that is 5 years old for example and you are thinking about reusing some of the old parts, keep this in mind. You will be putting 5 year old parts in a NEW machine, and the clock is ticking on these old components. You could get your new system and a week later it could cause your new system to crash. Do not blame the new machine when this happens. It would be the OLD components causing this problem. It is certainly okay to get all the mileage out of an old hard drive or video card for example. When they fail (and they will), you can just replace that component. It will not do any harm to your new system. As long as you understand this, feel free to use old components in a new machine until they fail. ​Newer Faster components. Perhaps one of the best reasons of all to replace an older machine is that you will get a newer, faster machine with the latest technology. You will not have to worry about your computer for many more years! If you have a failing assembly line computer like a Dell, HP etc, consider spending a bit more and get a higher quality computer. You will get nearly DOUBLE the lifespan out of a better quality system in addition to a much faster machine. It is a lot of work to change from one computer to another. So wouldn’t you rather go through that every 6 years rather than every 2 years? It makes a lot more sense if you think about it. If you need a powerful business class workstation that will last for years, see our QuadStation multi monitor computers. 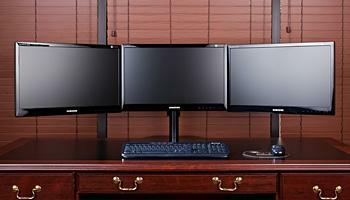 Fast, quiet, rock solid professional workstations with support from 2-12 monitors. Built and supported right here in the USA. 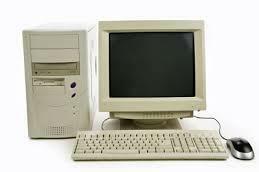 The longest lasting computer systems available. If you just need a basic computer but you want something a little better than a cheap off the shelf system, see the NTI CUBE System. Small and affordable but the quality is still there. 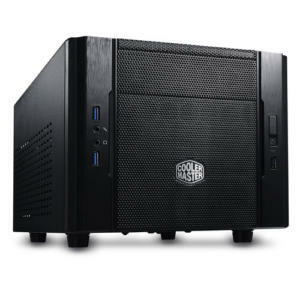 This small but mighty unit supports 1-2 displays and takes up very little space. Small enough to transport between locations. If you need portability, see our QuadStation Traveler 3 display laptop. Not just a regular laptop by any means. Use with the 2 external USB monitors, or grab just the laptop and go.